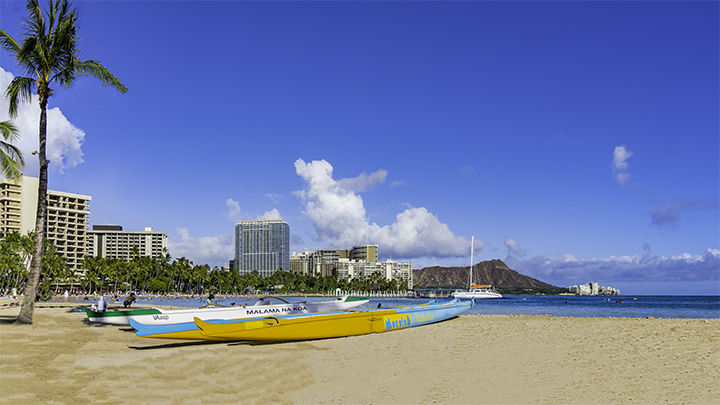 Why Choose a Waikiki Beach Vacation? A Waikiki Beach vacation, the words are magic. Say them and images of palm trees, Diamond Head, white sand beaches and the blue Pacific come to mind. 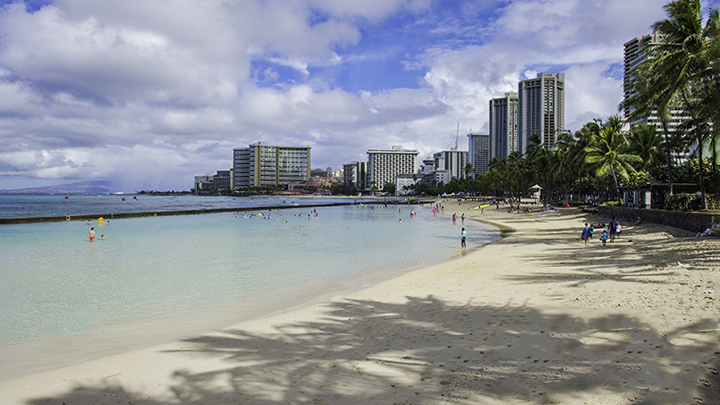 Even if you’ve never been there, you’ve probably seen movies, television shows and magazines about Waikiki Beach. Flickering torches, beautiful hula dancers and the sound of slack key guitars are parts of its ambiance. It’s a place recognizable around the globe. A Waikiki Beach vacation is all that and more. The area is also host to over seven million visitors a year. It offers hotels from budget to luxury and shopping of all kinds and restaurants of every cuisine possible. The Ala Wai Canal on one side, the ocean and parks at each end define the Waikiki area. The beach is where tourists can learn to surf with its gentle waves from beach boys. A short distance away is Diamond Head. Here, you can hike to the top from the crater floor for spectacular views of Waikiki. You can also visit the Honolulu Zoo and the Waikiki Aquarium in Kapiolani Park. Or you can also take in a concert at the bandstand in the park on Sundays. If you want a perfect Waikiki Beach vacation, let our experienced agents help you. They are in the perfect position to do so. This is because Panda Travel ® is Hawaii’s largest, award winning, locally owned and operated travel agency. We have been selling travel in Hawaii for over 35 years, helping thousands of customers each year. Through our Panda ® Online website, you can easily use our quick-search tools to help you find great airfares, hotels and cars. Also when packaged together, it can often save a you a lot of money. So search online, or call one of our local experienced agents. They’ll help you find and choose among the many Hawaii travel deals for your unforgettable Waikiki Beach vacation.